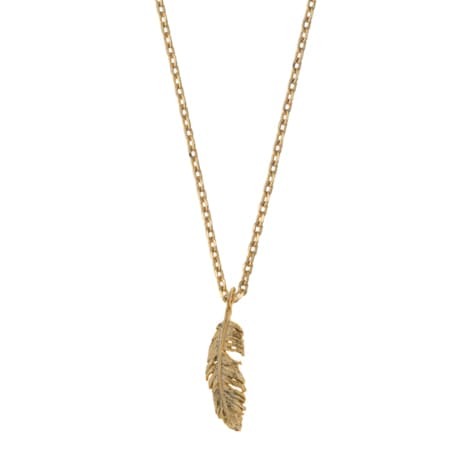 This feather necklace features the beautifully detailed feather pendant suspended from a gold chain – simply perfect for any season. A great way to hint at the bohemian trend. Size: The feather measures approximately 17.8 × 4.4mm.